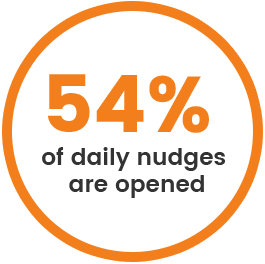 Daily nudges keep students on track. We work with you to pre-load the app with your campus’ academic calendar, financial aid and transfer deadlines, and 150 evidence-based tips on how to navigate community college. A notification pops up on students’ phones, automatically reminding them of every deadline and campus-life tip. Students don’t even have to open the app! Students earn rewards for progress. "I really enjoy this app. It's so convenient and it keeps me up to date. I have told other students to download it because it helps a lot. Thank you to whoever thought of this!" Qualified spend for SSSP, equity, and Title V.